In this timely book, a Pulitzer Prize–winning reporter trains an autobiographical lens on a moment of remarkable transition in American journalism. Just a few years ago, the mainstream press was wrestling with whether labeling waterboarding as torture violated important norms of neutrality and objectivity. Now, major American newspapers regularly call the president of the United States a liar. Clearly, something has changed as the old rules of “balance” and “two sides to every story” have lost their grip. Is the change for the better? Will it last? 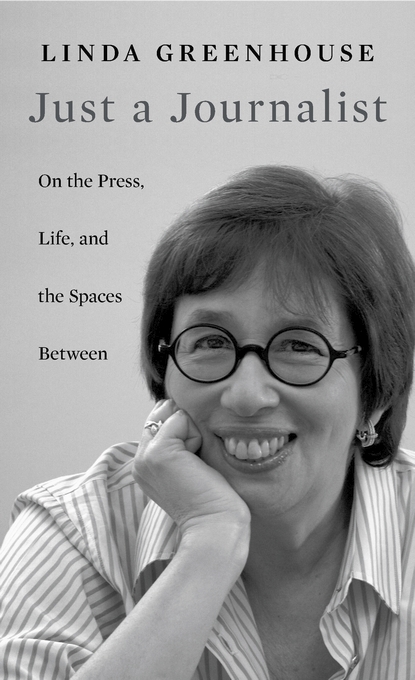 In Just a Journalist, Linda Greenhouse—who for decades covered the U.S. Supreme Court for The New York Times—tackles these questions from the perspective of her own experience. A decade ago, she faced criticism from her own newspaper and much of journalism’s leadership for a speech to a college alumnae group in which she criticized the Bush administration for, among other things, seeking to create a legal black hole at Guantanamo Bay—two years after the Supreme Court itself had ruled that the detainees could not be hidden away from the reach of federal judges who might hear their appeals. One famous newspaper editor expressed his belief that it was unethical for a journalist to vote, because the act of choosing one candidate over another could compromise objectivity. Linda Greenhouse disagrees. Calling herself “an accidental activist,” she raises urgent questions about the role journalists can and should play as citizens, even as participants, in the world around them.